1. Registers Golf sets and attached items (if have). 2. Receive confirmation from Nasco Express Golf. 3. Prepare golf sets and attached items for delivery. Customers have no worries as the golf sets are packed with anti-shocked and waterproof package. 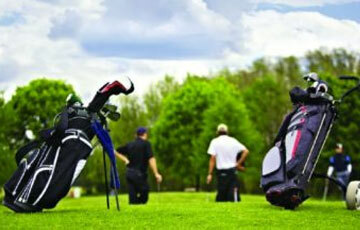 Golf sets are guaranteed to deliver before the time that customers have required. Nasco Express Golf will compensate and pay for any additional charge if golf sets are not delivered before tee off time. Golfers are supported 24/7 when using Nasco Express Golf. Nasco Express Golf has experts and staffs available 24/7/365 to support customers’ needs. Customers contact us through hotline: 1900 1106.